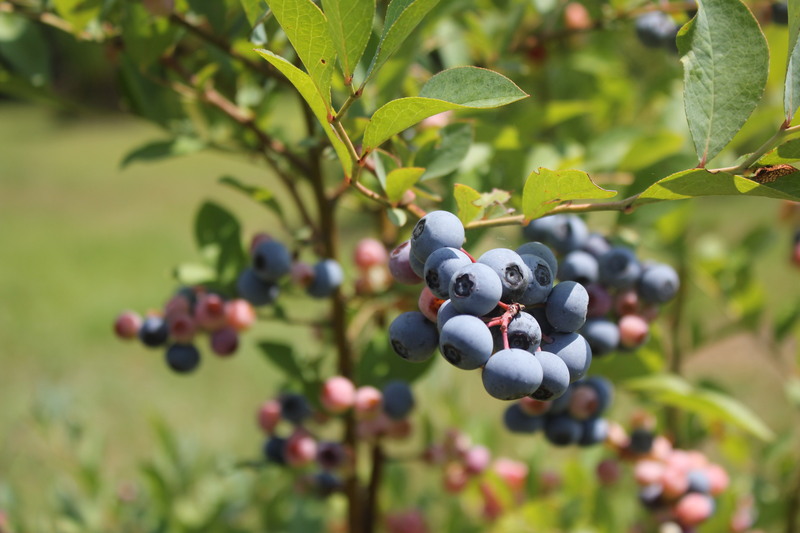 I was lucky to be invited to my friend Don’s organic blueberry farm the other day. It is not yet open to the public (maybe next year) so I agreed not to mention the location at this time. 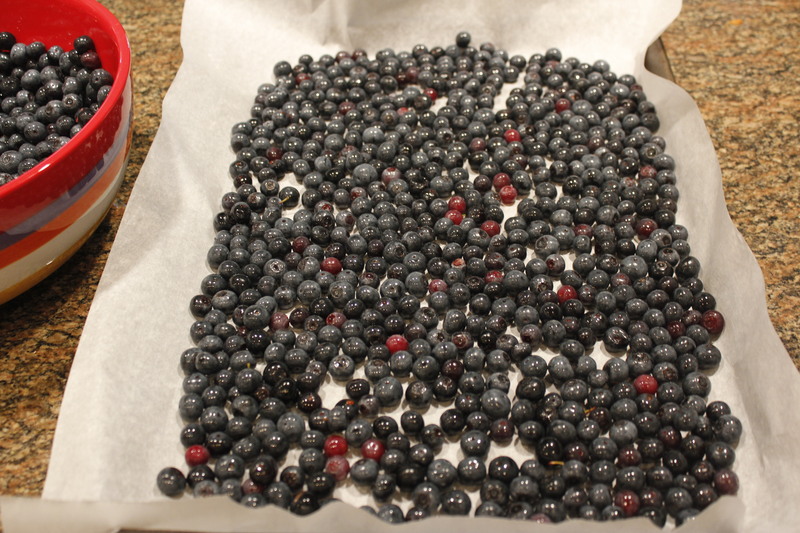 There were four of us who went and we had a great time visiting and picking (and eating) the sweet blueberries. The first thing I made as soon as I got home was blueberry-raspberry-mint infused vodka to use as a base for this year’s mojito of the summer (previous mojitos recipes include a great pineapple and a refreshing cucumber-melon drink.) 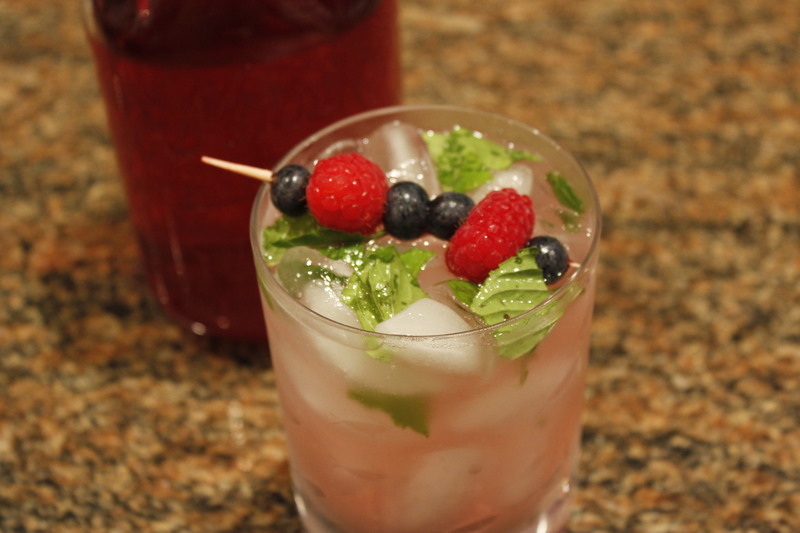 I will post the recipe soon for both the infused vodka as well as the berry-berry mojito, but here’s a sneak peek at this delightful cocktail, perfect for summertime! 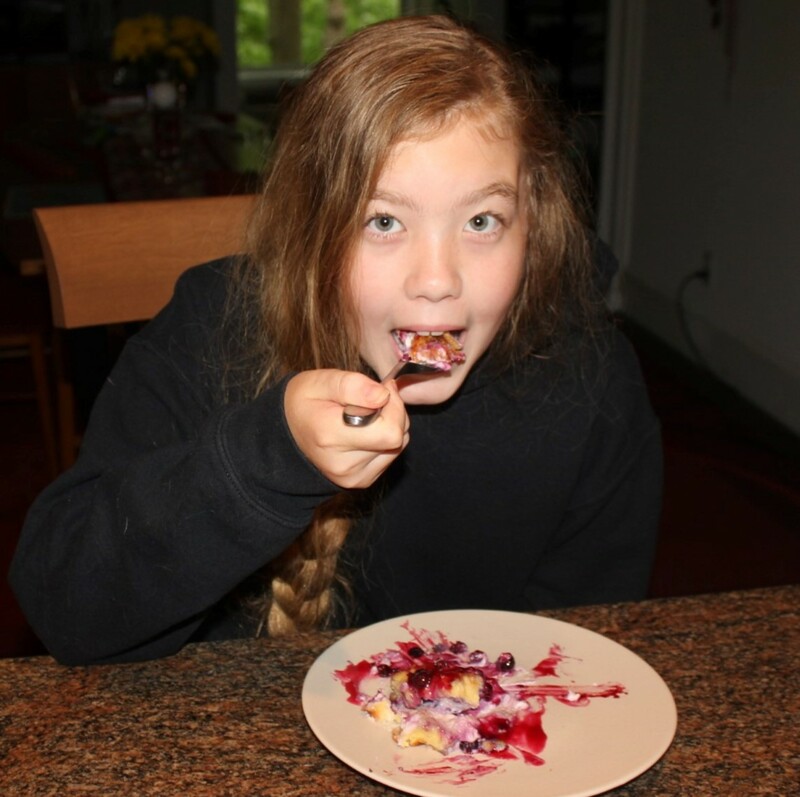 I decided to make something for the kids and went with a delicious French toast casserole with cream cheese and blueberries, topped with homemade blueberry syrup. 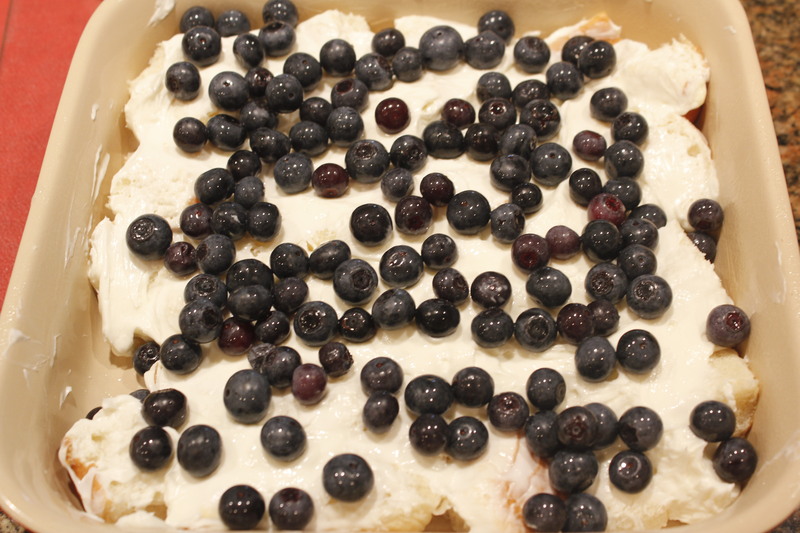 I found a recipe online that served as a basis for this casserole at Cookies & Cup’s website. I did change it a bit, and here’s what I wound up with, much to Gabe and Lexi’s delight. 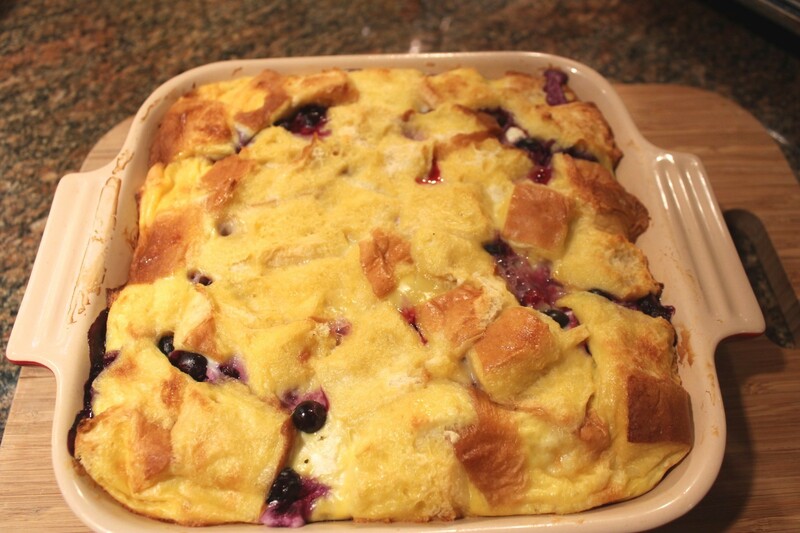 This casserole is sinfully good and the hot blueberry sauce is marvelous. Add some whipped cream if you want to be even more decadent. The casserole does have to be refrigerated overnight before baking, so advanced planning is key. 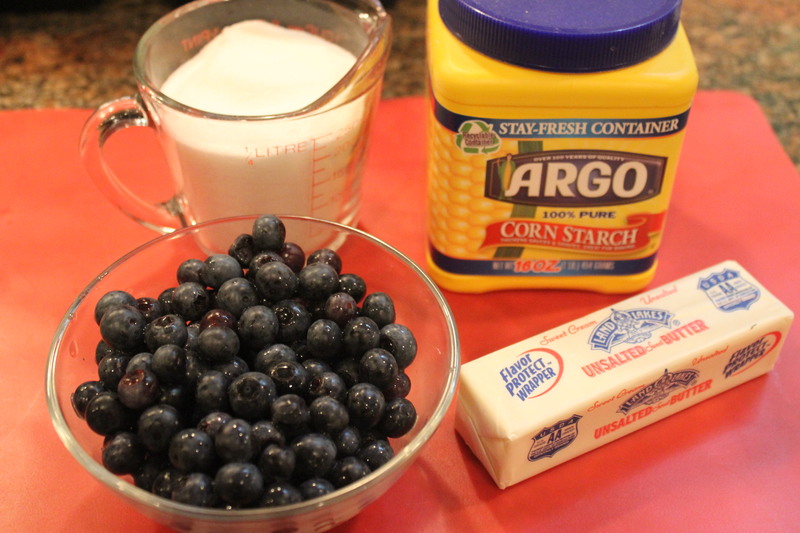 Spray a 9×9 casserole dish with baking spray. 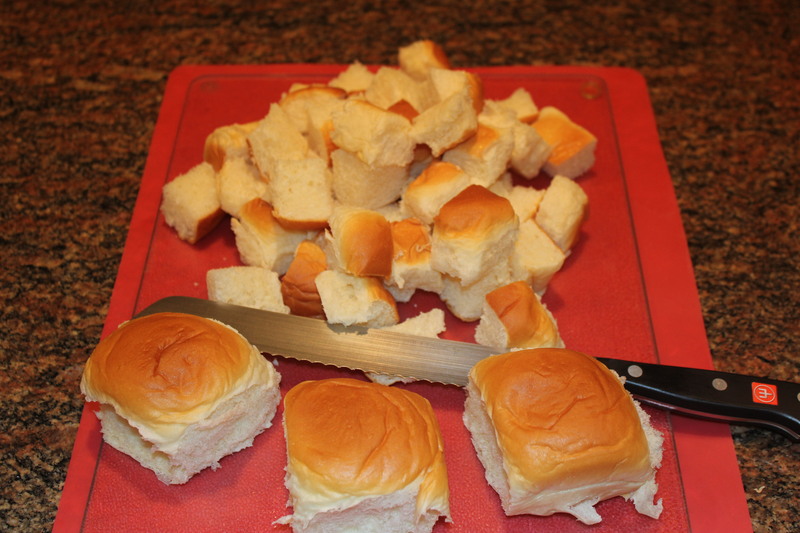 Cut the rolls into bite-sized cubes. 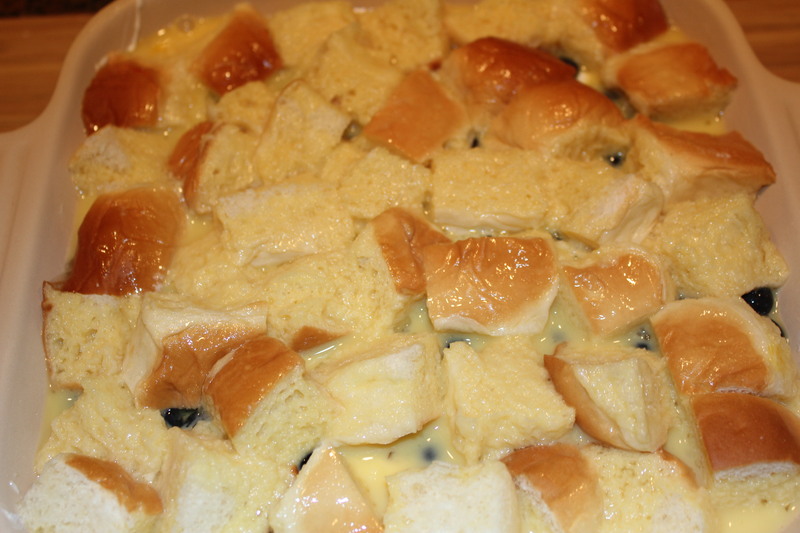 Place half of the bread cubes on the bottom of the casserole. 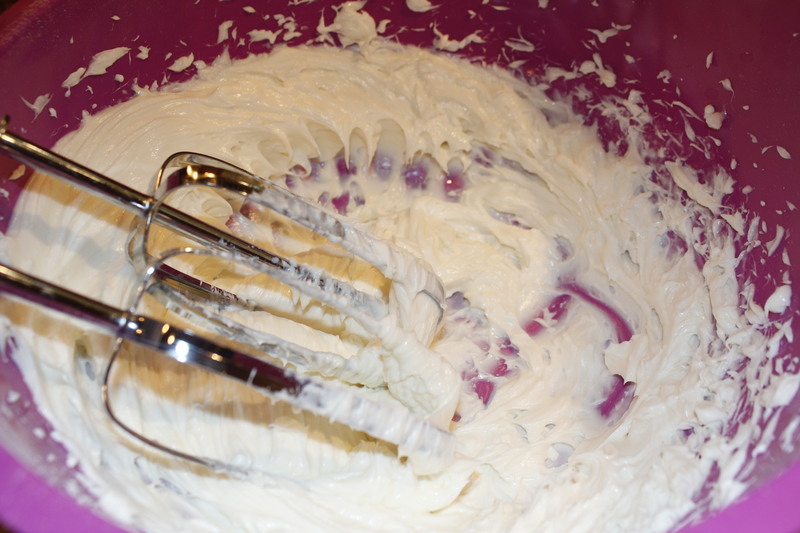 Beat the cream cheese and the powdered sugar with an electric mixer until well blended. 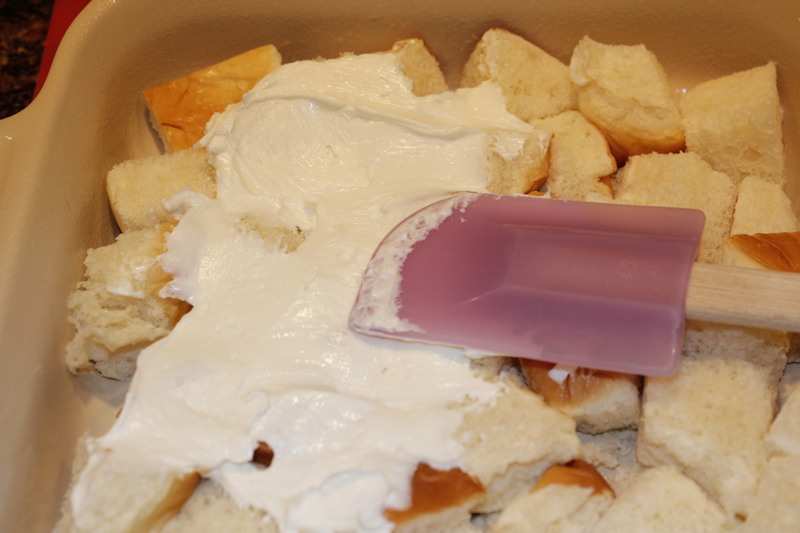 Spread the mixture over the breads cubes. Top with the remaining bread, pressing down on it a little. 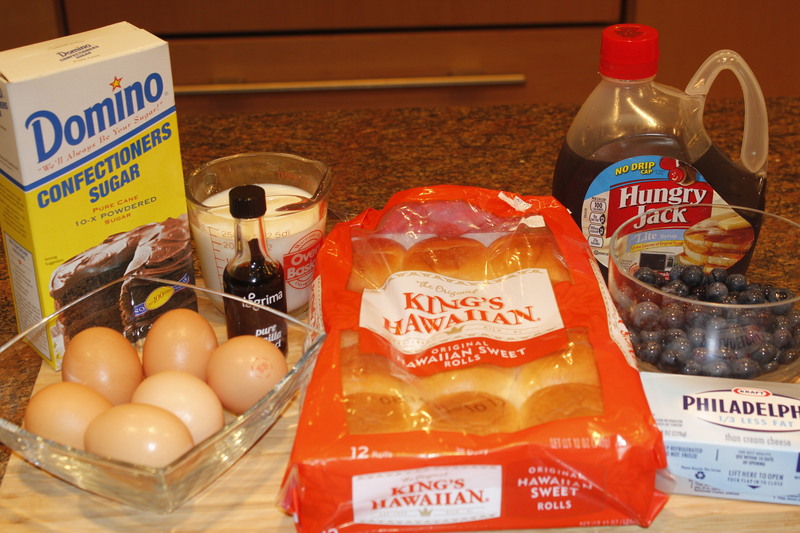 In a medium bowl, whisk the eggs, milk, vanilla and maple syrup. Pour this mixture evenly over the bread. Cover with plastic wrap and refrigerate overnight. 30 minutes before baking, remove the casserole from the fridge. Preheat oven to 350 degrees F. Remove the plastic wrap and cover the casserole with tin foil. Bake for 30 minutes. Remove the foil from the casserole and bake another 25-30 minutes, until the center is set and an inserted toothpick comes out clean. Let the casserole sit 5-10 minutes before serving. Combine the sugar, corn starch and water in a medium saucepan and bring to a boil, stirring occasionally. Simmer for 3-4 minutes after it comes to a boil. 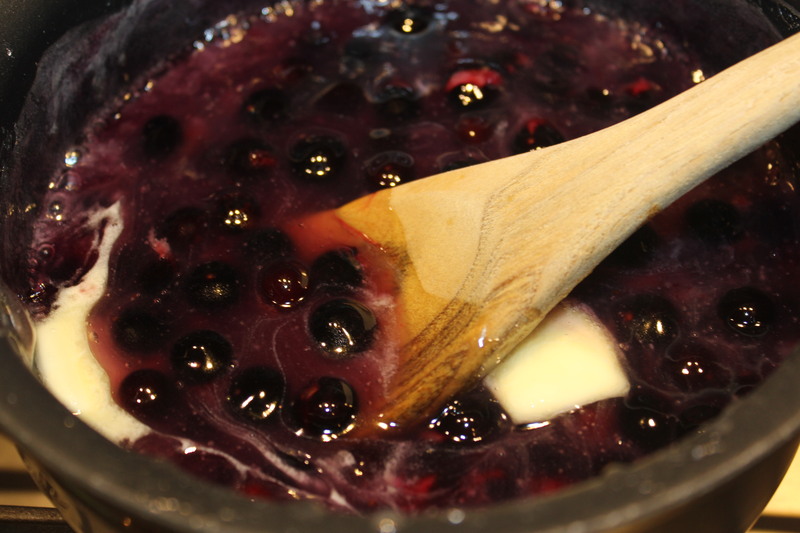 Add the blueberries, butter and lemon juice and simmer for 10 minutes more. 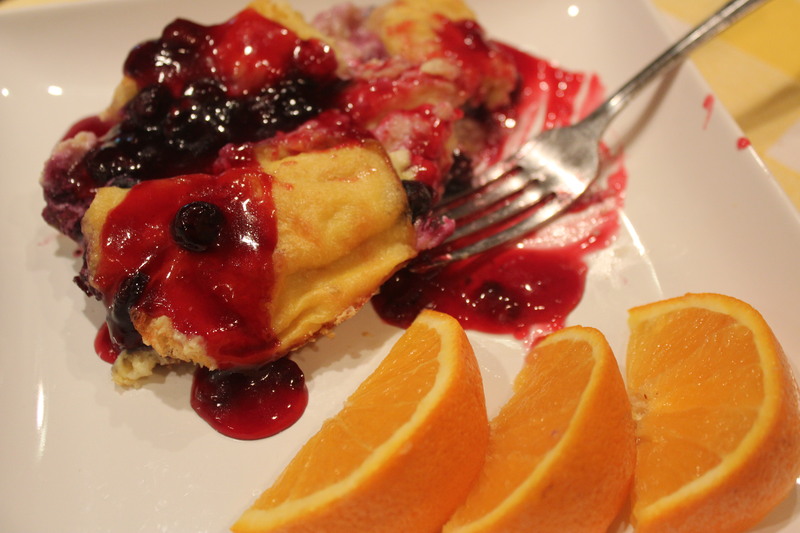 Pour this syrup over each portion of the casserole. Top with whipped cream if desired. This casserole reheats great in the microwave, if you have any left! 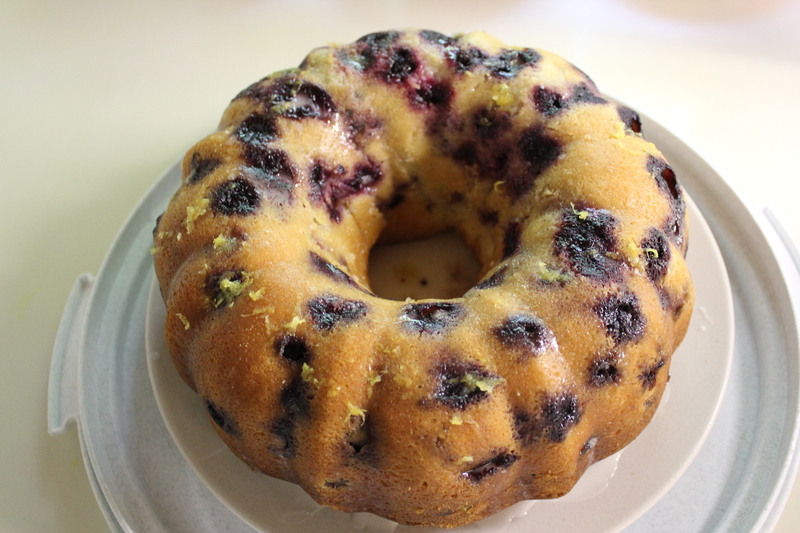 For additional blueberry recipes, please see my post Food of the Month, July 2012: Blueberries for a Blueberry Lemon Bundt Cake and a refreshing Blueberry-Cranberry Spritzer. 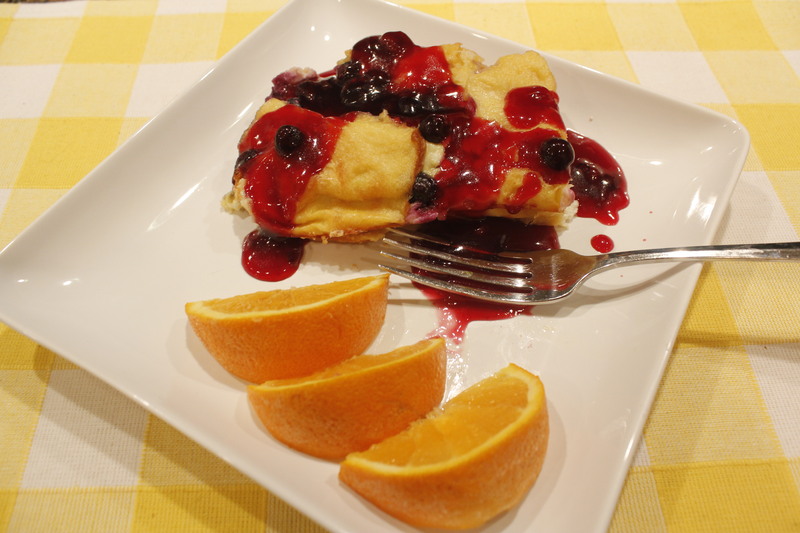 This entry was posted in It's 5:00 Somewhere, Recipes, Vegetables/Vegetarian/Vegan and tagged Blueberry French toast casserole recipe, Blueberry recipes, breakfast casserole recipes, eat drink and be merry, fresh blueberry syrup, Kel's berry berry mojito, Kelley Chisholm recipes, vegetarian recipes. Bookmark the permalink. Thanks for arranging this, Lisa! Can’t wait to see what you, Rose and Sharon make!